Jackson went to his first toddler time at the Cinco Ranch Library today. He was a little more interested in looking at the other kids than listening to the story, but I think he had fun. Rob was one of two daddies there. Awesome. They read a couple of stories, do some songs with body motion and do a craft. Here's Jackson's first craft. We let Jackson do the coloring and place the pieces where he wanted; all we did was put the glue on and show him how to use the crayons. If you can't tell, it's a pizza. It's now hanging on our fridge with the monster magnet. If all of that coloring is him alone, he's way better at coloring than Violet. 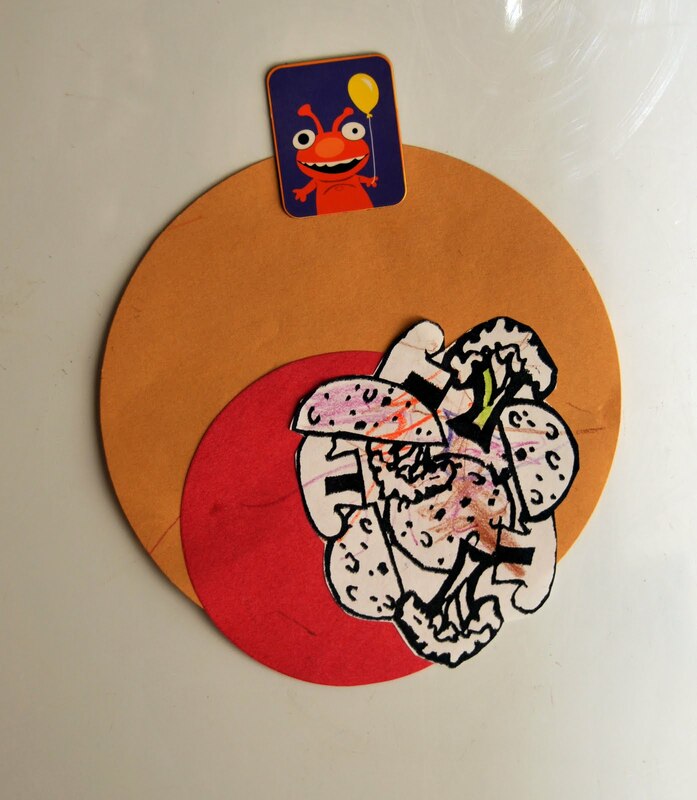 Also, I think it's awesome that his first craft is making a paper pizza. Ha! Now I see the pizza idea. Think I'll do it different though. And yeah, he's better at coloring than my girls too! As far as the dads at library time, its a difficult balance between welcoming them and making them feel like you are hitting on them! The two biggest chunks of color are all Rob's mad skills.